With the Turkcell Super League season now going into its last four weeks, the usual contenders are in the race for the title. With Beşiktaş losing to Fenerbahçe over the weekend, it seems as though Beşiktaş is out of the title race, leaving Fenerbahçe and Galatasaray to slug it out over the title. What has been a refreshing surprise, however, is the performance of Bursaspor. Bursaspor currently lead the Turkcell Super League standings, with a gap of one point over Fenerbahçe and four points over Galatasaray. With emerging stars such as Volkan Sen, Sercan Yildirim, and Ozan Ipek, and veterans such as Huseyin Cimsir, Leonardo Iglesias, Omer Erdogan, Dimitar Ivankov, and Ali Tandogan, Bursaspor look to be the first team since Trabzonspor last did so in the 1983-84 season to break the Istanbul big three stranglehold on the Turkcell Super League championship. But with the way their schedule looks in the last four weeks, it looks to be a tough road for Bursaspor to win the title. These last four weeks may be looked at as Bursaspor’s final exam in their quest to be called champions. Bursaspor’s first test will be this coming weekend against Galatasaray. This will be Bursaspor’s only road match to be played in the next four weeks. Going to Ali Sami Yen stadium is never easy for any opposing team, much less an Anatolian team who have never, before this season, led the standings in the Turkcell Super League at any point during the season. With Galatasaray still having an outside shot at taking the title, Bursaspor will have to get past a loaded Galatasaray team. With the likes of Arda Turan, Milan Baros, Abdul Kader Keita, Giovani dos Santos, and Sabri Sarioglu, Bursaspor will have to be on it’s A game. The intimidating atmosphere of the Ali Sami Yen has earned its nickname of “Hell” for good reason. Galatasaray’s home record is outstanding, with only one loss at home in the entire season, with that one loss coming against Fenerbahçe a few weeks ago. But it should be stated that Bursaspor’s road record isn’t too bad either, with their road record of eight wins, four draws, and three losses, the best road record in the league. The pressure will be enormous for Bursaspor, and should they get the win here, it would go a long way for their challenge for the title. The second part of their test will come the following week against Kayserispor in Bursa. Kayserispor have perhaps one of the best forwards in the Turkcell Super League in Ariza Makukula. The defense for Bursaspor will have to find a way to shut him down, because Makukula has exposes many a defense in the Turkcell Super League with his size and scoring prowess. Also, another player for Bursaspor to watch out for is Franco Cangele. Cangele is at his best as a support striker for Makukula, and should Bursaspor tightly mark Makukula, it could leave openings for Cangele to leave his mark. Don’t count out Kayserispor’s defense either, led by Kayserispor captain Aydin Toscali. What is advantageous for Bursaspor is that this match, and its last match to be played this season, will both be home games. Bursa Ataturk Stadium has been a fortress for opposing teams. With the famed Bursaspor supporters group Teksas (and yes, they are named after the state in the USA, but replace the x with ks due to the letter x not being used in the Turkish alphabet) leading the chants, Bursaspor can count on great home support. 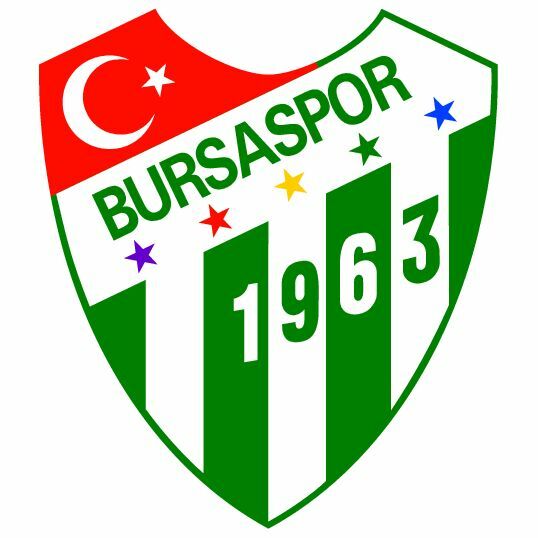 Bursaspor’s home record is also very good, with a current record of twelve wins, one draw, and two losses. With the home crowd support, Bursaspor will be inspired and this can light a fire under Yildirim, Sen, Ipek, and the rest of the team. Bursaspor can take solace in the fact that in these last four weeks, they are guaranteed at least three points in the standings. In week 33 they get the bye as they would have taken on Ankaraspor, but Ankaraspor’s disqualification gives them three critical points at potentially a critical junction of the season. The last week of the season will see Bursaspor have another huge test, and considering there is the possibility that they might be leading at this point in the season, this match will prove their character. This is because Beşiktaş comes into Bursa for the final match of Bursaspor’s season. Playing one of the Istanbul big three in one week is tough as it is. However, playing two of them, in a span of four weeks, makes Bursaspor’s work cut out for them. With this match, there is the possibility that Beşiktaş will be out of contention for the title by this time, if their loss to Fenerbahçe this past weekend is any indication. With such attacking presence with Rodrigo Tello, and Bobo, Beşiktaş is still a threat to any team during these last few weeks. Ibrahim Uzulmez, the ageless wonder of Beşiktaş, leads a stout defensive team that features Matteo Ferrari and Tomas Sivok. But with the match to be played at Bursa Ataturk Stadium, Bursaspor will have all to play for and will be looking over their shoulder at the other title contenders. Bursaspor is under the gun as it is already. Should they be leading the standings going into the last week of the season, and there is a good possibility of that happening, Bursaspor will be under tremendous pressure to finally win a championship. Many of their younger players in their squad will certainly be under the microscope. With this match as their final match of the season, those players will have to shoulder the pressure and make sure that they don’t get affected by it. Bursaspor have the toughest road ahead of them if they want to claim the Turkcell Super League title. Manager Ertugrul Saglam is perhaps the one manager that is under the most powerful microscope. He will be the one who will have to handle the pressure of trying to lead his club to heights they have never achieved. Considering that Saglam is not the typical over-emotional Turkish coach, and him having experience coaching one of the big three (Beşiktaş), and having Champions League experience (coached Beşiktaş in the 2007-08 Champions League), he will most likely relish the pressure of trying to lead Bursaspor to its first title. No Anatolian teams, other than Trabzonspor, have ever won the Turkcell Super League since the league was established in 1959. Perhaps if any team deserves to win it this year, it should be Bursaspor. Bursaspor is the team to watch going into the last four weeks of the season, because they could finally break the Istanbul deadlock, and it would be a great story, and perhaps benefit Turkish football as a whole. If they do win the Turkcell Super League title, considering their last four weeks is the toughest schedule out of all the championship contenders, Bursaspor can definitely say that they earned it.